Cost to install an outdoor kitchen varies greatly by region (and even by zip code). 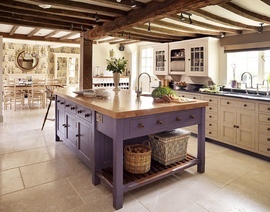 Get free estimates from kitchen designers in your city. Cost to install an outdoor kitchen varies greatly by region (and even by zip code). 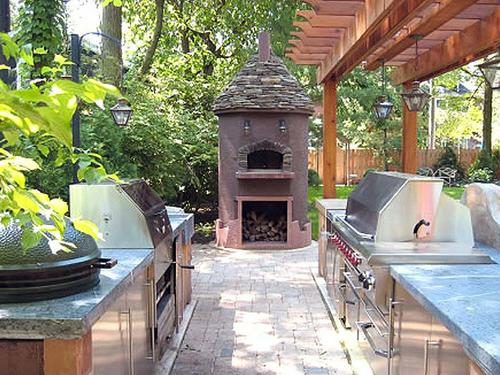 How much does it cost to install an outdoor kitchen? An outdoor kitchen can supplement a home’s deck, porch, or patio, providing an outdoor relaxing space for your family and friends, while encouraging them to spend more time enjoying fresh air. Because you don’t need to move appliances or commodities from the indoors, an outdoor kitchen can enhance your mealtimes in nice weather. This cost guide will show homeowners different options and costs associated with building an outdoor kitchen. The most basic outdoor kitchens consist of an outdoor grill and a countertop. Grills can be gas, coal, or electric, and they form the basis around which other kitchen components are placed. Good quality grills cost between $1,000 and $15,000 depending on their quality and durability, while installing a countertop easily transforms a barbecue grill into an integral part of an outdoor kitchen. However, the food preparation space should be placed next to the grill or cooking area, clearly marking it as a kitchen and dining location. Most homeowners spend between $3,360 and $5,070 on countertops depending on the project size and materials. More ambitious outdoor kitchens may have sinks in addition to a grill, countertop, refrigerator, and eating area. An eating area for six people with chairs and a table can be acquired for around $600, a sink for $350, and a good refrigerator for between $500 and $200. Outdoor kitchens occur in two forms, which can influence cost. Understanding the difference can help you plan and budget better. A “perimeter kitchen” which costs between $900-$100,000 is built right outside the house, sharing a patio cover, overhang, or wall with the home’s exterior. Here you don’t need as many utilities due to the proximity of the indoor kitchen; a grill and a countertop may suffice. On the other hand, a “satellite kitchen” is independent of the main house, usually placed as part of your landscaping. It therefore must be self-sufficient in terms of utilities, which adds to the cost. Due to its need for extra features that may not be needed in a perimeter kitchen, its minimum cost of installation exceeds that of the perimeter kitchen by 10%-100%. Appliances and countertops need a framework for holding them in place, and typically measure around 7-feet long by 3-feet wide to allow for the mounting of the grill and refrigerator, and to leave space for prep, as well as a side oven. They can be either custom-built or prefabricated. Prefabricated frameworks cost around $200-$400 per linear foot depending on material, while custom frameworks cost around $400-$600 per linear foot. Natural stone: $40 to $120 per sq.ft. Granite countertop: $60 to $70 per sq.ft. Manufactured stone 1: $60.00 per sq.ft. Poured concrete countertop: $65 to $135 per sq.ft. 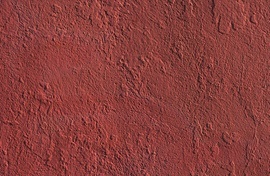 Stucco 2: $5 per sq.ft. Brick veneer 3: $15 to $25 per sq.ft. Standard brick: $25 to $35 per sq.ft. Whatever material you decide to use, they should be able to withstand the outdoor weather and elements. Try choosing durable materials such as stainless steel and moisture resistant wood. The upfront costs for these materials may be higher, but can save you in the long run by requiring less maintenance and fewer repair costs. General construction work costs around $5,000-$12,000, of which 70% is labor and 30% material costs. Professional plumbers and electricians are needed to do piping and wiring that is concealed and invisible. Plumbers charge around $45-$65 per hour, while electricians charge $65 to $85 per hour. Plumbing work can take between 6 and 100 man hours to complete for a total cost of around $270-$6,500, while electrical work can take 10-100 man hours for a total of $650-$8,500. A luxury sitting area, complete with chairs and tables will cost around $5,000-50,000, while a television set costs around $200-$2,000, and top-of-the line cooking appliances such as deep fryers $500-$1,000. Outdoor kitchen lighting can be installed just above the grill, or mounted on pergola 5 beams above, complete with switches for independent operation from the rest of the kitchen at a cost of between $300-600; counter and bar-top lighting at $500-$1,500; tread lights for safe walking at $500-$3,000; undercap lighting at $225-$1,000, and moonlight lights installed on trees around the outdoor kitchen at $500 upwards depending on the size of area intended to be covered. 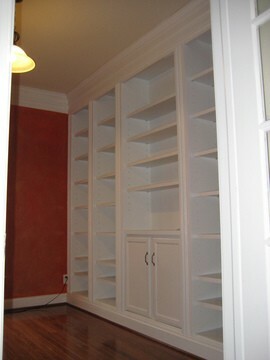 Using high quality materials significantly raises the final cost, e.g. granite for patio floor and countertop, hardwood and veneer 3 for cabinets, and an improved fireplace can increase the project cost by 50%-100% of average costs. Sometimes the outdoor kitchen project might involve the installation of just a grill and a simple, custom-made worktop. In that case, it can be done as a DIY project at a cost of around $900. Materials and appliances exposed to sun and weather can be damaged easily. To avoid that, it is recommended that you use materials such as stainless steel and hardwood although their prices are high and increase the final project cost. Additionally, to protect those appliances, covers are needed and cost around $100-$200 a piece. Running gas lines to the outdoor kitchen needs a high expertise level and involves high costs. 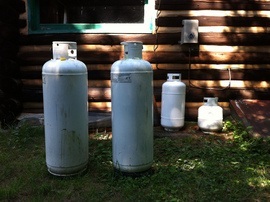 To lower the costs, homeowners can opt for propane 6 bottles, normally containing 5lb, 10lb, 20lb, 30lb, 33lb, 40lb, 60lb, 100lb etc. of gas when filled, and retailing at around $15-$100 depending on the size and brand. Most cylinders are refillable for prices between $5-$30 depending on the size. 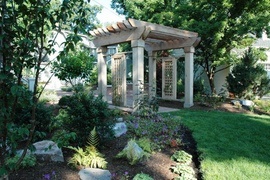 5 Pergola: An arched structure with an open roof and cross rafters, supported by posts or columns, typically installed in a garden, park, or backyard and usually covered with climbing plants or vines. How much does it cost to install an outdoor kitchen in my city? Cost to install an outdoor kitchen varies greatly by region (and even by zip code). To get free estimates from local contractors, please indicate yours.